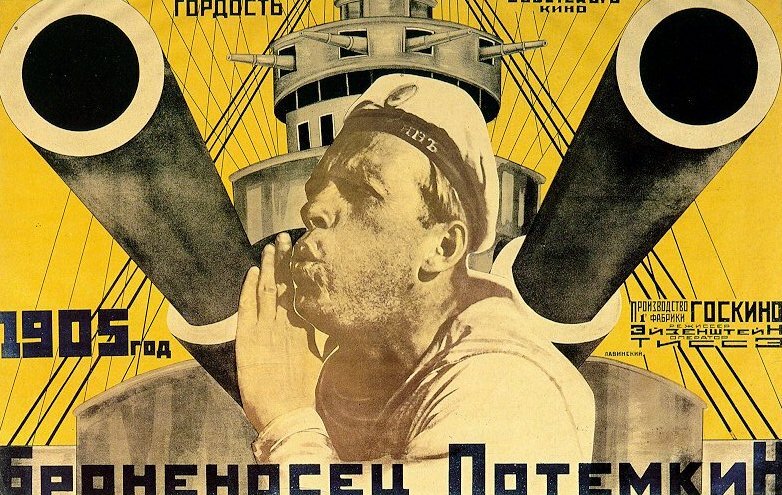 A true Masterpiece from Eisentstein Battleship Potemkin is a celluloid masterpiece. The direction of Eisenstein is truly a sight. The film chronicles a ship of disgruntled sailors who are tired of being mistreated by their superior officers. Eventually, the sailors finally have enough of the abuse and send the officers packing. 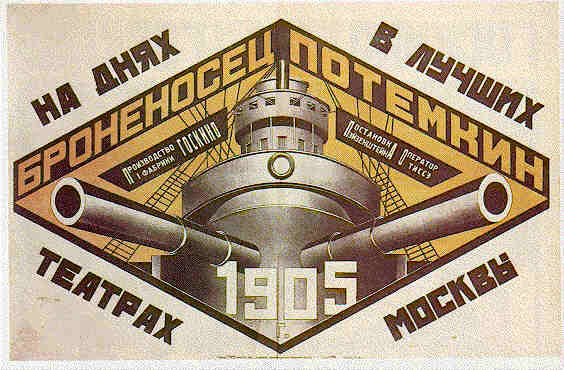 During this time period, there was a shortage of film stock in the Soviet Union. 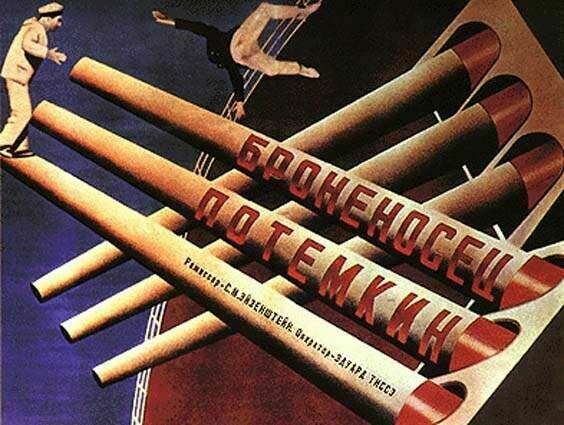 The goverment wanted to get their message out to the people so they started a National Film Company and one of the members was Sergei Eisenstein. The films were shot on miniscule budgets and the shortage of film stock forced Eisentein to be careful and selective with the footage that he shot. 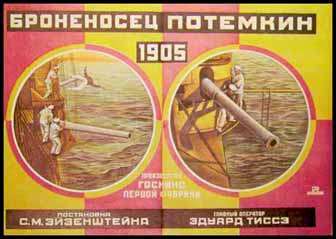 In the end, Eisenstein had to reuse footage in order to make a feature length picture. The most famous of the action set pieces in this film is the much talked about massacre on the steps. This scene was spoofed in Bananas and most recently in Brian De Palma's The untouchables. 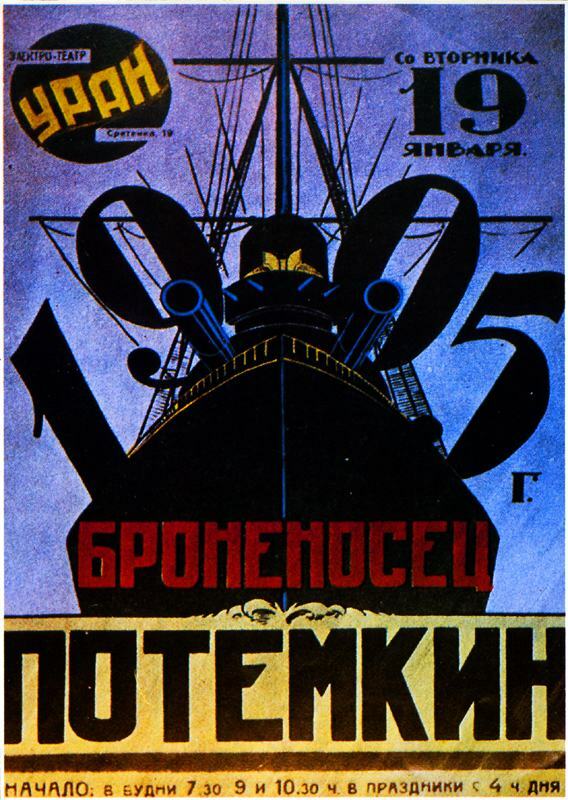 If you want to learn film-making, I strongly advise you to watch Battleship Potemkin. It's one of the essentials.